As planned, and because the weather was cooperating (two rainy days), I started quilting Heather's Wedding Present. This is a picture of the middle of the quilt. Heather's favourite colour is purple and she's Irish, so I added some green. 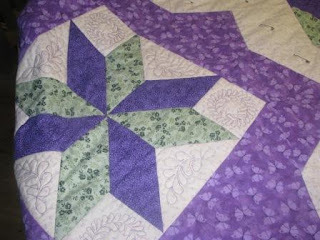 I chose flannel for the backing fabric and purple thread. 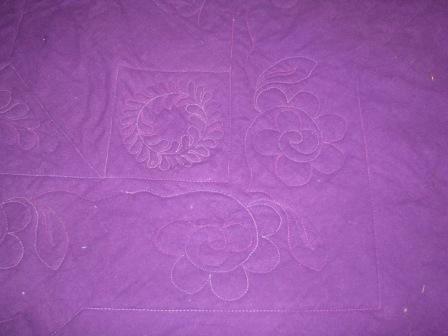 I'm very pleased with how the quilting is coming along and I think Heather will be very happy with her present. 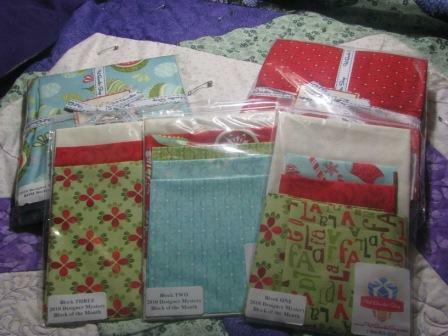 I signed-up for the Fat Quarter Shop's Mystery BOM back in June and I've received 3 blocks already, plus the backing and finishing kits, but have not had the opportunity to even open the packages yet. I'm thinking I might be able to get going on block 1 next weekend. I couldn't be on vacation forever right? I'm back at work now and busier than ever. My return to work also coincided with the need to get the children ready for school… searching for school supply lists (I swear they're in the house somewhere! ), running to Walmart to get everything, trying on clothes from last Spring and then making another list… but this time for school clothes. I always look forward to the start of the school year because it means our lives go back into their routine. But it also means the end of the beautiful, hot sunny days and the return of cold, windy, snowy weather. I didn't get as much quilting done as I had hoped during my vacation. It started off pretty good. I finished the Daisy Chain quilt top and then quilted "Garden Trellis" which I had started for my baby sister back in the spring. 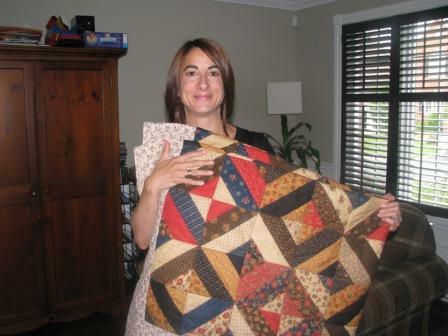 Her birthday was in July and we were finally getting together for a birthday celebration so I finished her quilt and gave it to her as a present. I used a pattern from the book "Jelly Roll Quits" and the fabric is from the "For a Cause" collection by Moda. I then quilted in the ditch and added feathers to the border. I am very pleased with how it turned out and so is my baby sister! I also basted Heather's Wedding Present so that one is ready to quilt when I go back to the country this weekend. Oh and look at what came in the mail this week! Getting fabric in the mail is always so exciting for me… I love it! It is finally here... vacation time! 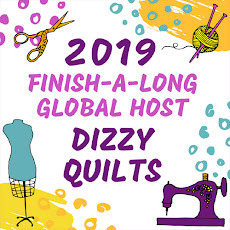 For two weeks, I'll be spending time with the kids, hopefully doing all kinds of fun vacation activities during the day and quilting my little heart out in the evenings! 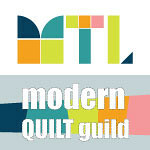 I have much to do in the quilting department over the next couple of weeks. I have to find backing fabric for Heather's wedding quilt, and quilt the whole thing because she'll be off work to get married in mid-September. Then, I have to find a pattern as well as fabric for a baby girl quilt for my colleague Claudia who is due to deliver in early November. 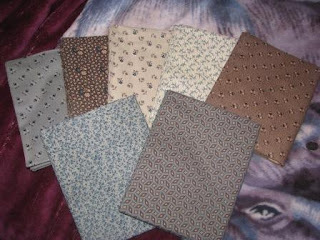 I also have lots of finished tops that need a backing and quilting... I'm hoping I'll be able to at least prepare one of those tops for quilting. Over the last few weekends, D has been busy building me a new island for our country kitchen and he's finally almost done. I have to admit I really wasn't sure about getting rid of every single kitchen cabinet and storing everything in the existing pantry and the new island, but now that it's almost done, I really like it. The thing is a lot bigger than I thought it would be, so there's definitely no room for cabinets now!